Note Gunung Raya Wildlife Reserve was originally a Gunung Raya Forest Group of 39,500 ha based on RB, October 9, 1936 Number 298 / A located at Dati II Ogan Komering Ulu. In 1978 Gunung Raya Protected Forest area was designated as Wildlife Reserve based on Minister of Agriculture Decree number 55.Kpts / Um / I / 1978, dated January 26, 1978 with an area of ​​± 39,500 hectares. In 1982 Gunung Raya was reappointed by Decree of the Minister of Agriculture no. 925 / Kpts / Um / 12/1982, dated December 27, 1982 with an area of ​​± 39,500 ha. In 1982/1983 Mountain Raya’s wildlife reserves were laid out definitive boundaries with an area of ​​78,250 hectares. 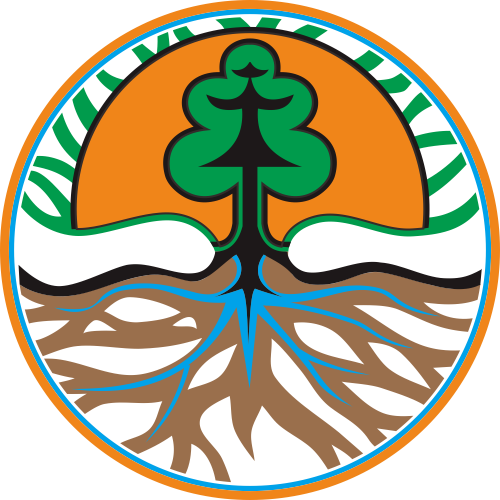 After that Based on the boundary of 1982/1983, in 1986 Gunung Raya was appointed by the Decree of the Minister of Forestry number 410 / Kpts-II / 1986, dated 29 December 1986 with an area of ​​78,250 hectares. Then in 1998/1999 the provincial boundaries were revised so that the area of ​​Gunung Raya Wildlife Reserve became 50,950 hectares. In 2001 Gunung Raya Wildlife Conservation was reappointed by Decree of the Minister of Forestry number 76 / Kpts-II / 2001 dated March 15, 2001 with an area of ​​50,950 hectares. Identification The Gunung Raya sanctuary consists of a highland tropical rainforest ecosystem with moisture between 50% – 80% dominated by Dipterocarpaceae family, among others meranti (Shorea spp. ), Merawan (Hopea mangarawan), jelutung (Dyera sp. ), Pulai (Alstonia sp. ). In addition, there are other types of flora such as cempedak (Artocarpus sp. ), Rengas (Gluta renghas), cinnamon (Cinnamomum sp. ), African wood (Maesopsis eminii), semar pouch (Nephentes sp. ), And orchids (Paphiopedilum barbatum).